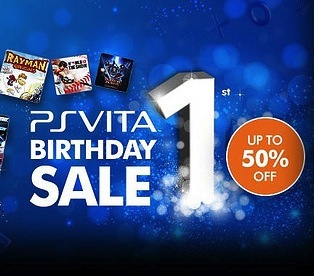 PS Vita Birthday Sale Starts Now! For two weeks only, starting 6th February 2013, you can claim as much as 50% off selected PS Vita games! So head over to PlayStation Store or Sony Entertainment Network Store from tomorrow and treat yourself. Let us know what you think the best game on sale is in the comments below!